Why don’t you take a hike? Next time you’re in Carlsbad, take the exploratory route and find the best hiking trail for you. Here are 10 of our favorites. The Batiquitos Lagoon trail is the most well-known trail of the area and provides a wonderful nature experience being so close to the water and the Aviara golf course. Located north and east of Carlsbad Village Drive, the Calavera Hills Village H North Trail is 0.4 mile trail wanders through a Eucalyptus grove. The Hosp Grove Trail is one of the most extensive trails winding through mature eucalyptus trees planted many years ago for the railroad industry. The Aviara trail system is one of the most diverse trail systems in the city offering a variety of nature experiences to trail users. This short trail connects the dog park with Hidden Canyon Community Park, which features two playgrounds, several picnic areas and large expanses of lawn. Located north of LEGOLAND and across from The Crossings at Carlsbad golf course, this dual set of path runs from The Crossings Drive to Legoland Drive and then on to Armada Drive. This trail takes visitors through several popular points of interest. It’s also a great way to view the city golf course, The Crossings at Carlsbad. 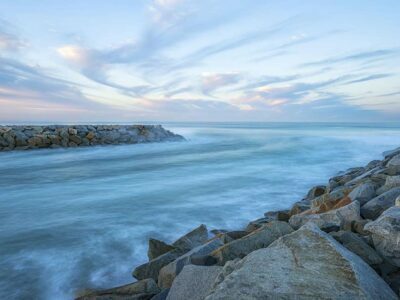 This unique trail located along the coastal beaches of north Carlsbad is a favorite for walking and running, as well as a popular people- and dolphin-watching destination for residents and tourists alike. The four trails located in the Villages of La Costa offer a variety of trail experiences from long, rugged difficult, dirt trails, such as the Ridgeline Trail, to easy, paved trails such as the Old Rancho Santa Fe Road Trail. At one point, this was a volcano; it’s now extinct. What’s incredible about this property is the diverse plant and wildlife that’s around the lake. 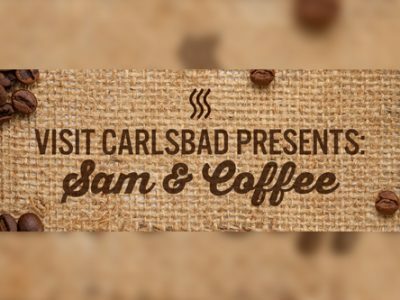 To start mapping out all 50+ miles of trails in Carlsbad,click here.